Welcome to your first quick training module! 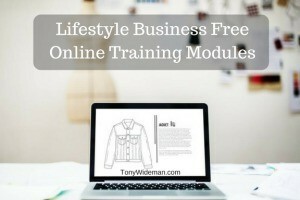 You will learn how quick and easy it can be to earn income online. From the beginner to the seasoned blogger not getting enough traffic. This training will help you. Just follow this basic free online training to succeed. For those who already blog and don’t earn an income, you are DOING IT WRONG! Stop wasting time and learn to do it right. Get your knowledge gaps filled and get the training to earn the income you deserve. Learn the amazingly simple process to propel your website or blog into a passive income producer. As you continue this training you will begin to realize this is a wonderful world where you can use your passion and dreams to earn a passive stable income online just using the knowledge and experience you already have. We will have to focus on a few things to get you started on the right foot. You will not get rich quick. You will be learning how to make STABLE PASSIVE INCOME. Something real. The kind of income you can earn living anywhere in the world. This will take a little time and dedication and will cost you NOTHING to try. This is a real opportunity and all you need to do is follow along. No experience necessary. You are already familiar with the principles you will be learning. You will just be applying them in a way that will earn you an income online. How many friends do you have on Facebook, Twitter, and Instagram? What if 1000 of them spent $100 a year with you. You would be earning $100,000 a year. Why are you doing it for free? Duh! Anyone can create a website and make it SEO friendly with a little know how. There are 2 billion people out there on the Internet whom you can connect with and make money with. Slow down and breath. If you are anything like me your head is racing with thoughts. Your free online training will seem overwhelming at first but you can and will succeed if you stick with it and work through these modules. How Will YOU begin to live the Freedom Lifestyle? These are the very simple steps you will learn to take to earn passive income online. Step 1 – Choose an interest or passion which you want to write about. Step 2 – Build your Search Engine Optimized (SEO) ready website. Step 3 – Create content and get ranked in the search engines. Step 4 – Earn passive online income from anywhere in the world. This is not too complicated, you can do it and I will show you how. Let’s continue! Are you still with me? It is a lot easier than you may think. But we will get to that in the next free online training modules. At this point, I need you to do something for me before we move to the free online training module. I need you to get a pen and paper and write down 5 things you are passionate about. Write down 5 things which you love doing, or know a lot about. You do not need to be an expert on the subject, just something you can see yourself writing a lot about. It can be a hobby or even your occupation. Are you ready to move on to the next training module?